Rules mandate luggage batteries must be removable. Changes to airline policies regarding how lithium batteries can be taken aboard aircraft have resulted in the closure of two smart luggage firms. Raden and Bluesmart said business had become impossible due to restrictions implemented by several major airlines in December 2017. The new rules mandated that luggage batteries had to be removable. The smart suitcases feature weight sensors, a built-in phone charger and location awareness, but all require battery power. "...our intent was to add ease and simplicity to your travel experience and this unforeseen policy change has made this impossible," Raden said in a message on its website. In an online announcement, the firm described its news as "bittersweet", stating it had sold its intellectual property to US suitcase brand Travelpro. Analyst Ben Wood, from CCS Insight, said the rules had created confusion at check-in, meaning people were unsure whether they could travel with their bags. 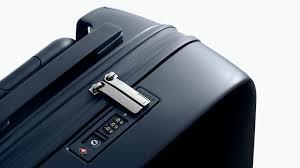 "The integration of lithium-ion batteries and radio technologies such as Bluetooth and cellular connections was always going to make smart luggage a veritable minefield," Wood said. "Given the complex regulations around what you can and can't take on to a plane it is little surprise it has become an issue, " he added. Raden suitcases started at $295 (UK price £250) and are still stocked by some retailers. Both firms said the luggage apps would continue to work for existing customers, but refunds and replacements would be impossible.